I can hardly believe that another year has gone by! I truly appreciate all of the love you have shown this year, through comments, blog posts, facebook messages, and tweets. It still thrills me to no end to hear about how my recipes turn out when you make them in your own homes! This has been a year filled with excitement — Mr. KitchenOperas and I got married in June, which was surrounded by much celebration with family and friends, and truly was the most perfect day! We were fortunate to travel to Thailand in March (noodles! green curry! coconuts!) , and also to Paris for our honeymoon (macarons! ice cream! absinth!). I got spoiled with a tea-cocktail-making-workshop (marTEAnis with Dan at Herbal Infusions, anyone?) by my girls for the bachelorette party, which was one of the best nights of my life! Ashley and I blogged for all of September about hummus. Yup, it was ridiculously fun and delicious. And I think I’m ready to make hummus again, after some hummazing hummus burnout! My fellow Curd Nerd friends and I took the first in a series of cheese courses , learned to critically taste cheese, and talked cheese to anyone who would listen. I was able to share the taught gluten-free bread love outside of Toronto through my first online gluten-free (and vegan!) bread baking class! 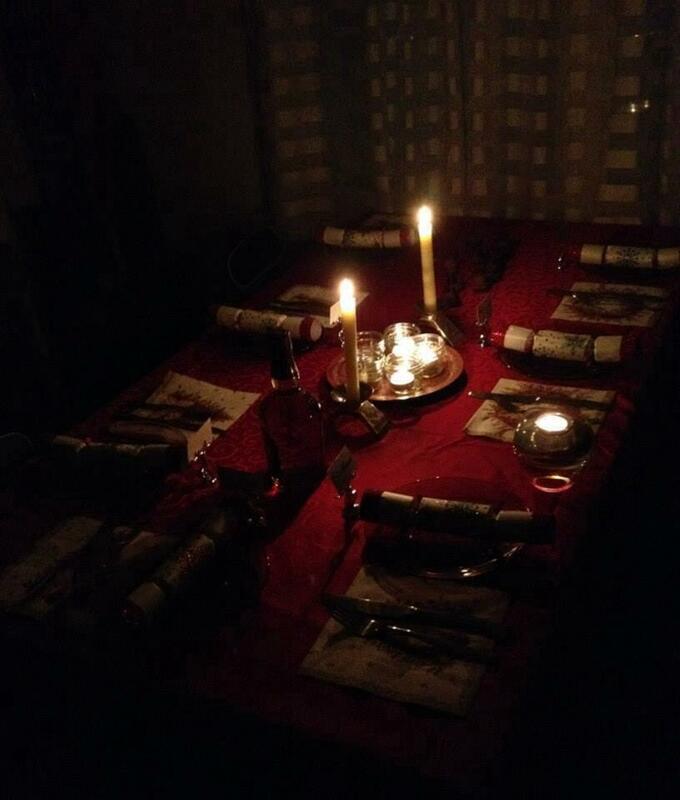 And we hosted our first Christmas as a couple in our home… in the dark. In the middle of a power outage caused by an ice storm. It was crazy and cold, and made cozy by friends and family who all pitched in and joined us for fun & to celebrate this year’s holiday season. In all ways, 2013 has been a year that we will never forget. And so, in the spirit of remembering a spectacular year, I’ve got the top 13 recipes of 2013 down below… Countdown-Style, just like last year. If you click on any of the photos, they’ll take you to the recipe page. I was going to a potluck birthday celebration at Ashley‘s, and was craving pastry-wrapped appetizers. Thus, a gluten-free and vegan pastry was born out of chickpea flour & brown rice flour. Obviously I had to fill it with delicious Middle Eastern flavours: sweet potato, Swiss chard, pine nuts, sumac, and cumin. Mmmmmm. Totally a hit. Corn flatbreads that are naturally gluten-free and delicious topped with anything? Yes, please. These have become a quick & easy stand-by for those times when you want something delicious but don’t want to spend a lot of time in the kitchen. I especially loved them topped with Huacamole (Avocado Hummus), or as breakfast with scrambled eggs and old Cheddar. Nicole and I love everything pickles. So we made pickle soup, based on her family’s Polish recipes. Yuuuuum. It was the month of hummus, and it was the beginning of the fall season. So naturally everything around here was Pumpkin Spice flavoured, and our sweet hummus was no exception. It would be so gorgeous for breakfast, but this hummus never made it that far. We ate this one straight out of the bowl. No judging if you do too. Ash got really excited about sweet hummus things and made Hummus Cookies. How could you go wrong with chocolate chips, maple syrup, vanilla, and nut butter? Oh my word. I don’t think I’ll use anything but masa harina (precooked corn flour) and cast iron to make cornbread ever again. This was perfection. If you haven’t tried it, you need to make it with a scrambled egg & refried bean breakfast. Nicole and I couldn’t stop with Dill Pickle Soup, we also made Dill Pickle Hummus. And I am ever-so-glad we did, because this tastes like Dill Pickle Chips but in hummus form. So very moreish. It wasn’t just sweet squash hummus that had its day in the sun. We also featured a Roasted Butternut Squash Hummus with fall flavours combined with Middle Eastern flavours: sage, za’atar, sumac, and aleppo pepper. I had totally forgotten that I made this, and now that I’ve seen this recipe in my top 13, I can’t wait to make it again. It’s banana bread, and it’s gluten-free. And if that’s not enough for you, it’s got that “everything-but-the-kitchen-sink” factor, studded with flakes of toasted coconut, chocolate chips, pumpkin seeds, and walnuts. It’s a surprisingly moist loaf that just begs to be eaten while you drink an americano. This is my favourite recipe of 2013. I cannot believe how awesome this gluten-free bread is. It has become my standard loaf, and even my gluten-eating folks have been enjoying it. I love love love the crispy crust and the spongy crumb inside. It’s totally divine. And filling. Eat it with everything, especially egg salad. These are like Rice Krispy Squares, but made with puffed quinoa and nut butter, so we gluten-free vegetarians can enjoy them too. I adore muffins, and this is my favourite muffin recipe. I have never eaten a muffin that I like better… gluten-filled or gluten-free! These are sweet and moist, and you can get away with them at breakfast (quinoa flour + rolled oats + flax seeds = good for you!) or eat them for dessert (chocolate chips + espresso + butter = yum!). It’s green hummus. If that doesn’t get you, it’s garlicky. Mmmm. This was one of my favourites of all the yummy hümmi we made during our Month of Hummus. And you all must have agreed, as it’s my top-viewed recipe of 2013! What a delicious 2013! Here’s wishing you all the best for a scrumptious 2014! It is sensational and easily one of my favorites. Mmmmmmmmmm, I would so love pea hummus. Thanks for sharing, off to see it now! !